rubicon4wheeler: Has the Forest Service Lost its Purpose? Has the Forest Service Lost its Purpose? As our federal government continues to break down in a systematic agency-by-agency failure, the United States Forest Service has of course been doing its part to screw the citizens. Everyone knows this is nothing new, but their recent revisions to their Planning Handbook shows just how far the USFS has drifted from their originally-intended purpose. The revision to the Handbook has been kept quiet, but the BlueRibbon Coalition has put great effort into addressing the recreating public's concerns. They published a blog entry that gives a basic explanation of the Handbook and its implications, along with links to their comments and legal efforts. Whether you know it or not, the BlueRibbon Coalition is fighting every day to protect your right to responsibly recreate on the public lands your tax dollars fund. They are a nonprofit organization that operates from membership dues and donations - please join or donate! We hope that interested officials, agency employees, organizations and individuals dedicated to active and continuing use of the Forest System can put differences aside to give rebirth to visions of Pinchot, Roosevelt, and Leopold and create a Forest System that includes meaningful use by the American public. The core vision is valid, but its current implementation is taking the agency in a different direction. Congress passes a law. Then what? Well, the appropriate regulatory agency then creates regulations necessary to implement the law. For example, the Food and Drug Administration creates its regulations under the authority of the Food, Drug, and Cosmetics Act, the Controlled Substances Act and several other acts created by Congress over the years. Acts such as these are known as "enabling legislation" because they literally enable the regulatory agencies to create the regulations required to administer and enforce them. For our friendly neighborhood National Forest, the enabling legislation is the National Forest Management Act (NFMA). Like our example above, Congress referenced other laws in NFMA, such as the Wilderness Act, Multiple Use Sustained Yield Act, National Environmental Policy Act and others. Once the agency is done developing regulations for implementing the law, it becomes a "final rule" and is printed in the Federal Register, the Code of Federal Regulations (CFR). USFS has Title 36 in the CFR. Most federal agencies will take those CFR's and develop further management guidance. The USFS, for example, has Manuals and Handbooks. These are very detailed instruction on how each CFR is to be implemented. The whole process can be used to emphasize the intent of certain pillars in the enabling legislation and to de-emphasize others. That would be the 'in the nutshell' explanation of the current lawsuit that BRC is party to against the USFS new Planning Regulations. Through revising their Planning Rule, Manual and Handbook, the Forest Service has elevated species viability, ecological sustainability, ecosystem services and "ecological integrity" (no joke) as mandatory national forest management objectives above those that Congress mandated: outdoor recreation, range, timber, watershed, and wildlife and fish purposes. The Forest Service moved even further away from Congress's intent for recreation, creating a new definition of "sustainable" in order to be allowed. With the lawsuit pending on the USFS Final Planning Rule, you might be wondering if its even possible to review a Handbook based on the very regulation you believe to be illegal. Yes. It is possible, and even common, as moving away from the intent of Congress seems to be popular with federal land managers. But this draft Handbook takes the USFS light years away from what Congress intended. You could say they have regulated forestry out of the U.S. Forest Service. And it is perhaps the most anti-recreation management guidance we have ever reviewed. It is that bad. The new Rule didn't just fail to adequately address Congressional intent for recreation, it also failed to address the planning gridlock that necessitated the revisions to the Planning Rule in the first place. This Rule may fall of its own weight. BRC is sincerely concerned about the agency's ability to formulate and implement effective land management plans. We are resolved to fight these changes, but we hope that interested officials, agency employees, organizations and individuals dedicated to active and continuing use of the Forest System can put differences aside to give rebirth to visions of Pinchot, Roosevelt, and Leopold and create a Forest System that includes meaningful use by the American public. The core vision is valid, but its current implementation is taking the agency in a different direction. I am a homeowner within Eldorado National Forest. I literally grew up in this National Forest, so I have developed a deep appreciation for its flora, fauna, topography, geology, hydrology, and overall ecology. I am an Eagle Scout who has performed countless community service hours in this Forest. I am a member of the Rubicon Trail Foundation, California Association of 4WD Clubs, California Off Road Vehicle Association, and United Four Wheel Drive Association, so I have worked side-by-side with Forest Service employees in numerous trail maintenance programs. I am a hiker, a fisherman, a boater, a camper, a motorcyclist, and an avid 4x4 backcountry explorer. I work in the 4x4 aftermarket parts industry. My wellbeing comes from my (and everyone's) freedom to enjoy our public lands in a wide variety of responsible forms of recreation. I have reviewed the US Forest Service Draft Planning Handbook, and to say that I am dismayed would be a gross understatement. This is perhaps the most anti-recreation planning directive to come from any federal land manager; this is nowhere remotely close to what Congress intended. It elevates every imaginable concern from species viability, ecological sustainability, ecosystem services and "ecological integrity" (no joke) above the five Congressionally-mandated uses: outdoor recreation, range, timber, watershed, and wildlife and fish purposes. Comment 1: The Planning Rule (Rule) and the Draft Land Management Planning Handbook (Handbook) is likely to exacerbate, not resolve, the planning gridlock accelerating through the agency. Comment 2: The "Suitability of Lands" section in the Handbook (22.15) strays substantially from determining if a project or activity would occur in an area. The Rule directs that any use identified as "not suitable" be one which is "not compatible" with the desired condition for those lands. The draft Handbook unlawfully modifies "not compatible" with "not likely to be compatible." * The draft Handbook creates a situation where "suitability" determinations provide a one-way-gate used for the elimination of certain uses or activities. This scenario will require a line officer to make implementation decisions in a Plan revision. The new Rule/Handbook does not absolve the Forest from complying with other applicable law, including NEPA and the 2005 Travel Management Rule ("TMR"). 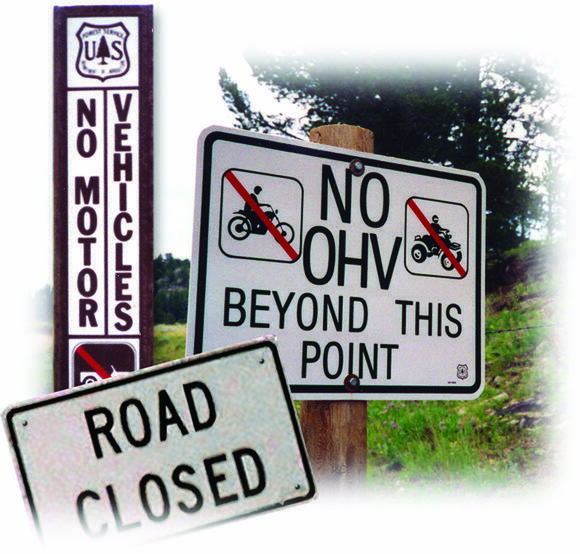 Comment 3: The draft Handbook is silent regarding the hundreds of millions of dollars provided to the agency by the Recreational Trails Program (RTP) and the tens of millions of dollars from state OHV registration programs. Those funds are currently being used to bring the supplement the agency's recreation programs and also to bring its recreation infrastructure to a point where it is "economically, socially, and ecologically sustainable for the future." The recreating public has stepped up to provide the agency with the resources needed to manage recreation. Forest visitors understand that transportation system maintenance (often cited by the agency as a key to "sustainability") can be a legitimate concern. However, the trail using public will not accept the agency applying a strict maintenance budget criteria applied only recreational trails and not to other programs. Comment 4: The draft Handbook unlawfully expands the agency's authority for management of Wilderness Study Areas and areas recommended for Wilderness. The draft Handbook directs planners to "protect and enhance" wilderness characteristics. (Chapter 20 at 23.22j page 92) The term "enhance" is often used to eliminate so-called "non conforming" uses such as off-road vehicles, snowmobiles and mountain bikes which are generally prohibited in designated Wilderness areas, but frequently enjoyed within proposed Wilderness areas. These uses must be properly and effectively managed by the Forest Service in non-Wilderness areas, including proposed or recommended Wilderness areas. 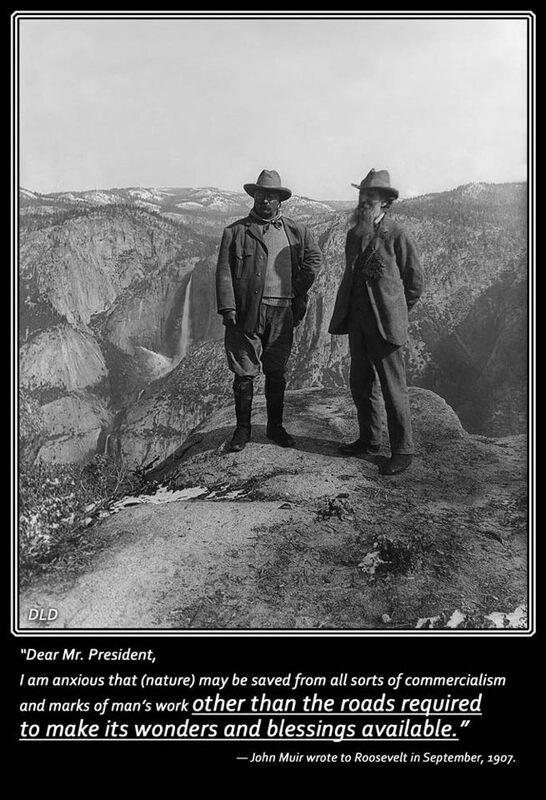 * The Forest Service simply does not have the authority to make any Wilderness-specific management directives until Congress has made a determination of Wilderness status. * The criteria for evaluation of Wilderness characteristics allow substantial historical use by motorized and/or mechanized vehicles. The draft Handbook should not then require the elimination of those uses. * Chapter 20 at 23.22j on page 92 and other places where it may appear, change the phrasing regarding "protect and enhance" wilderness characteristics of designated or recommended areas to "protect and maintain" characteristics, to be consistent with the regulation. Comment 5. Recreation is Illegally Omitted from "Required Considerations when Preparing new of Revised Plans" The draft Handbook at 21.2 lists specific items to be considered when developing or revising Forest Plans. The list includes mandatory requirements, which makes it redundant, but importantly also omits many key multiple use mandates, notably, recreation. 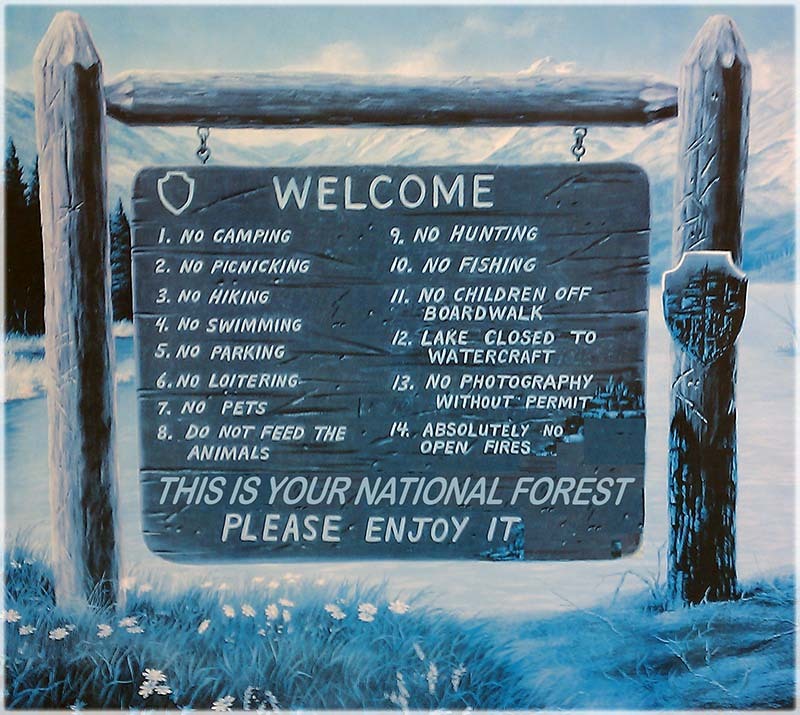 This contradicts NFMA, which plainly includes recreation among the list of mandatory Forest planning topics. This flaw is repeated throughout the draft Handbook. Recreation is always subject to other considerations such as being second to new constructs such as biological sustainability, the ability of funding, ecological conditions needed for at-risk species. Comment 6: Wilderness Evaluation Procedures are Flawed The draft Handbook continues to err on the side of preservation in addressing Wilderness characteristics and ensures that any lands that "appear to have" even the slightest remote or undisturbed character will be evaluated for Wilderness recommendation and ultimately "Recommended Wilderness Areas." It continues to depart from previous criteria to allow "supplemental values" to be included as Wilderness characteristics. Supplemental are defined as "[e]cological, geological, or other features of scientific, educational, scenic or historical value." Comment 7: The draft Handbook should clarify the lack of authority to manage areas as Wilderness. The paragraph below should be added to Chapter 70 Wilderness Evaluation: The Secretary of Agriculture shall not manage public recreation uses of lands that are not part of the current Congressionally-designated wilderness system in the same manner as they would be managed in designated wilderness. Established past public recreation uses, including those prohibited under the Wilderness Act of 1964 such as off-road vehicles, mountain bikes and snowmobiles, shall be allowed to continue in areas found eligible for future wilderness designation, and managed in a manner that will not diminish the area's eligibility as wilderness. Comment 8: Specific Comments on Chapter 70 Wilderness Evaluation Re: Chapter 70 at 71.21 Size Criteria (page 6). The "Size Criteria" as outlined in the 1964 Wilderness Act seems to be lost in the Wilderness. Frankly, it has been a long time since the 5,000 acre size criteria has meant anything. This size criterion does not seem to exclude any area, based on the fact that it is smaller than 5 thousand acres. * Primitive Areas are defined and managed in different ways in different LRMP's across the agency. Therefore, Primitive Areas should be defined in this section of the Handbook. * Including maintenance level 2 roads in the inventory will greatly expand the lands evaluated for Wilderness. With the implementation of the TMR, nearly all maintenance level two roads have either been moved to maintenance level 1 or have been authorized for public use or identified as needed for other reasons. Including areas with maintenance level 2 roads is unnecessary for the purpose of Wilderness inventory and evaluation and will lead to areas being considered but not recommended. This will create conflict among wilderness advocates who often oppose and seek to eliminate uses that are not allowed in Wilderness but are appropriate in undeveloped areas. * It is NOT appropriate to include Wilderness proposals pending before Congress as well as including areas with a "primitive" ROS class. Wilderness proposals pending before Congress have not had the benefit of review for restoration needs or had the full public participation as mandated by NEPA. * Section 5 should be edited to include evaluation of existing non conforming recreational uses, the degree in which any recreation, restoration, culinary water, rangeland etc improvements would be encumbered by Wilderness management and the economic impact of Wilderness management as well as under a Recommended Wilderness determination. It oftentimes feels hopeless to stand up to our government and try to force them to make course corrections. Writing letters and attending forest management meetings is no fun and it takes time away from our already-busy lives, but it's incredibly important to make your voice heard by those who try to dictate what you can and can't do on on your public land. If you can't personally join the fight, at least join and contribute to land-use organizations like BlueRibbon Coalition, who are attending every meeting, writing letters, lobbying, and litigating on your behalf. JPFreek Spring 2013 Issue - It's Free and Good!